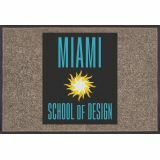 Find the perfect custom mat for your brand and your budget at Tuff Flags and grab the attention of your audience in easy rates! Make your tradeshow booth look classy and comfortable for everyone stepping into it with personalized mats from Tuff Flags. 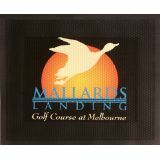 Made to ensure the absolute comfort for your team and the audience who will be on their feet for several hours, these soft and firm Custom Tradeshow Mats will enhance the appearance of the booth and helpitstand out easily.Shop from our collection of Personalized Table Covers and Throws and avail the best prices, quick shipping and much more! 100% customer satisfaction guaranteed! Stepping on hard ground is stressful on your feet; dress up your event venue in corporate colors and brand with Personalized Mats from Tuff Flags. Designed to last long, these will not just dress up the bland and hard floor but will give a professional and lively milieu to your booth. 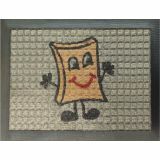 The massive imprint area can be used to out your brand, message or artwork on display. Every time the audience steps in, they will surely be impressed by these smart mats whichwill encourage them to take a closer look at your brand message. Designed to last long and take in the pressure of countless footfalls, our custom falls are easy to transports and set up and above all can be reused many times. Give your tradeshow booth an identity with these custom mats that will enhance brand visibility and make your exhibit display stand out by putting it right on the floor of your booth. 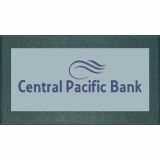 Available in various sizes and models, custom mats are the best way to pause the flowing crowd and let themtake a look at your message. The non-skid base will make the custom mats safe and highly functional for high traffic areas such as tradeshow exhibits, retail areas and offices. Our Personalized Mats are great for any areas wherebrand recognition is needed.Customize it with your brand and design and make the world go green with envy! Need help with your design? Our design team can help you come up with an eyecatching design that will never fail to impress the audience. 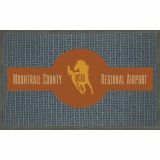 Custom Mats are durable and equipped with lasting full color imprint, extra-sturdy bases and large imprint area. These are perfect to draw customers to your stores season after season. To know more about our Custom Tradeshow Mats call us at our toll free number (888) 872-3524 or email us at customercare@tuffflags.com.